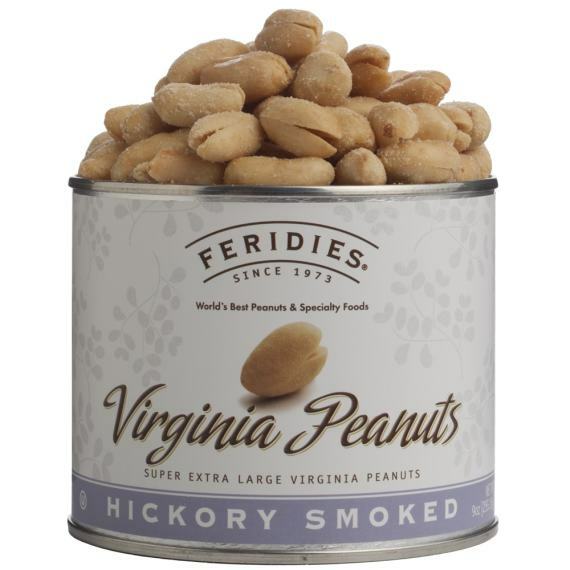 Roasted in pure peanut oil and flavored with a rich smokey seasoning, these super extra-large Virginia peanuts bring back memories of a time gone by when hickory cured foods were a staple of our Founding Fathers. 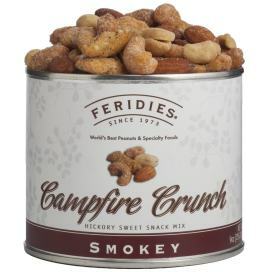 We invite you to relax, open the can, smell the aroma and enjoy! The dimension of each 9 oz. can is 4" x 3.25". Shelf-Life is approximately 1 year. OU Kosher Certified.